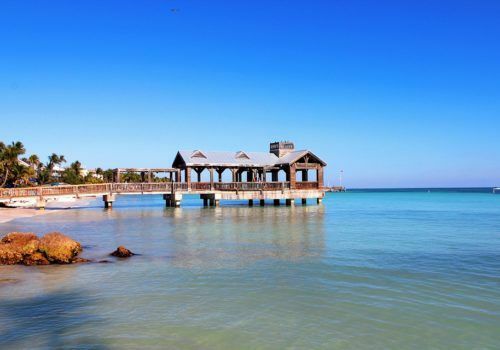 This gay group trip in the Florida Keys takes in all the best that the region has to offer. Beautiful beaches, stunning waters, and plenty of gay culture to explore. You’ll take in part in lots of activities from paddleboarding to kayaking and more – the perfect trip for those who like to keep active, make new friends and see the most beautiful places. On your arrival day you will fly into Miami or Ft Lauderdale airports before being transferred to your first luxury hotel in South Beach – the most trendy part of the city. If you arrive ahead of time check out some of the hot sights such as the Art Deco district, the long stretches of beaches, or the many chic, local boutiques and shops. In the evening you will meet the rest of your group, learn more about your trip before heading to a gay-friendly restaurant and finishing with a trip to the local gay bars. After a hearty breakfast you’ll depart on your adventure for the day. You’ll start off with an airboat tour of the Everglades where you’ll find masses of crocodiles, alligators and snakes lurking amongst the waters and the greenery. For lunch, you’ll visit a restaurant that only uses fresh, local produce before moving onto the Schnebly Winery and Brewery where you’ll get to taste some of the regions finest tipple – some even made from exotic fruits such as lychee and starfruit. After this, we’ll visit an exotic fruit shop where you can sample the strangest and most unusual fruits found around the world before we enjoy dinner in the evening. After enjoying your breakfast as a group, you’ll get to experience snorkelling in the beautiful waters of Key Largo. If the weather is good, you’ll get to explore the famous statue known as ‘Christ the Abyss’ which is submerged under the water surrounded by beautiful corals. In the evening we’ll enjoy drinks at the Tiki bar before settling down for some of the best sushi and Thai food for dinner. In the morning you’ll set out for a day of kayaking! You’ll kayak around Robbie’s Marina where you’ll find some of the wild and endangered species that call this place their home. Crocodiles, native birds such as Pelicans and tiny crabs are all waiting to meet you. 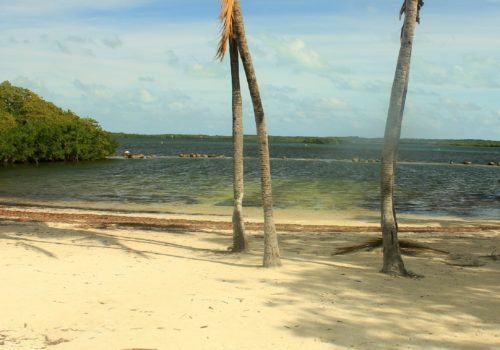 Whilst kayaking, you’ll make your way to Indian Key – an island covered in the ruins of the 19th-century settlement that was once here. In the afternoon, enjoy lunch as a group and explore the nearby islands if you wish. Alternatively, if you want to kick back and relax you can also do that. For dinner, try some of the local seafood which the area is known for before settling down in your beachfront hotel. Today is a day for cycling. Take in some of the beautiful scenery of the islands by bike as you and the rest of the group make your way past beaches, docks and cafe lined streets. Along the way you’ll get to stop off at places of interest so you’ll not miss a thing. You’ll ride over the many bridges in the area where you may be able to see the many cute little sea turtles swimming nearby. After your bike ride, you’ll check into your hotel in Marathon before coming together for dinner as a group. From Marathon you’ll cycle onto Key West, one of the most gay-friendly places in the US. Here you’ll get to experience everything from cycling, mini-golfing, the wide range of gay nightlife, paddleboarding, jet skiing, snorkelling and more! You’ll also receive passes the famous Island House’s weekend pool party where you’ll get to socialise with other gay local gay people and gay tourists. Today is the day where the trip comes to end. After saying goodbye to all of your new friends you’ll be transferred to the airport ready for your departing flight home.